Relax and reconnect at this historic lakefront inn on a quiet part of Lake Winnipesaukee midway between Meredith and Wolfeboro. In spring, summer and fall, enjoy the private beach and boat docks for swimming, boating and watersports, or hike area trails. In winter, enjoy ice fishing on the lake, snowmobiling from the Inn, cross country and downhill skiing at nearby Gunstock Mountain. 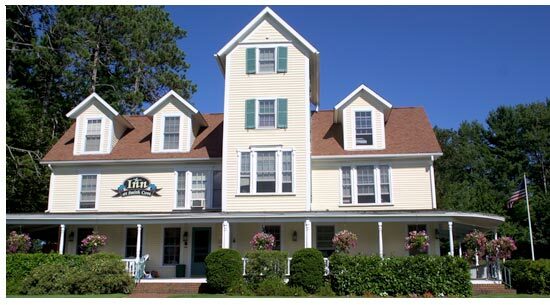 You'll find outdoor recreation and relaxation during any season at the Inn at Smith Cove, a lakes region inn. Our private beach and lakefront gazebo are only a short walk down the brick path from the wrap-around veranda of the Inn - both offer comfortable seating for relaxation, boat watching and listening to the loons! The Inn is a favorite of Yankee Magazine! Fall Comes to the Lake Country of New Hampshire. #1 Inn in Gilford on TripAdvisor! Our location on the lake is a no-wake area, so boats pass by quietly. Boat rentals available at a number of marinas nearby or bring your kayak or canoe and push off from our beach. Lakes region attractions and activities are all just a short drive away. 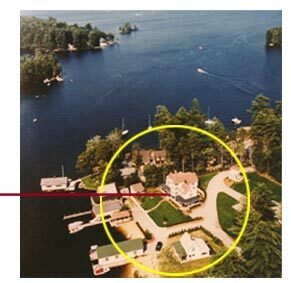 Stay at Inn at Smith Cove when you come for a show at the Bank of New Hampshire Pavilion at Meadowbrook (only 1.7 miles away) for music, the Winnipesaukee Playhouse in Meredith offering year round theater, or plan a day of fun at Weirs Beach! We also have four lakefront Vacation Rental cottages available when extended stays are planned or more space is preferred. These cottages vary in size but all are completely furnished. They are only a few steps from our private beach, a short walk from the Inn and each one offers a lake view! just bring your family and friends! Click for photos and more details. Come join us for year-round activities and relaxation. 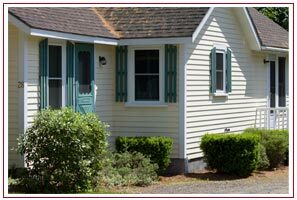 Located just minutes from Meadowbrook Musical Arts Center and Weirs Beach attractions.